Form-in-Place Gasketing, Vacuum Technologies | VTI Vacuum Technologies, Inc.
VTI Vacuum Technologies offers more than two decades of documented success providing Thin-Film Metalization and Form in Place Gasketing services to the world’s leading and most well-known OEM manufacturers of technologically sophisticated devices and components—whether one-off, low-production, or high-volume runs. We have accomplished this by integrating our sales, production, engineering, and quality-control processes, thereby providing you with state-of-the-art Agile Manufacturing Practices. What exactly does this mean for you? We are experts at supporting your JIT production & delivery goals. Agile Manufacturing practices ensure the flexibility to expedite rapid production & shipping of your shielded or gasketed components in support of your JIT delivery goals—whether you require 10 or 10 thousand units. You will always know precisely where your components are in our production cycle. Our system of documentation and parts-tracking ensures that there are no “black holes” in your Gantt Chart while managing your project. We are a cost-effective solution to your electronic shielding or environmental sealing requirements. The inherent efficiencies of our highly-integrated & certified processes provide you the best cost/benefit ratio. You are ensured the highest levels of confidentiality. Our internal culture is maximized for confidentiality thanks to our many years of successful experience with military and aerospace components, as well as highly-proprietary medical products. We guarantee exceptional quality that is second to none, executed precisely to your specifications, and delivered on time. Our internal culture is focused upon providing quality added value for you through technical efficiency, superior customer service, on-time delivery, and guaranteed quality conformance. 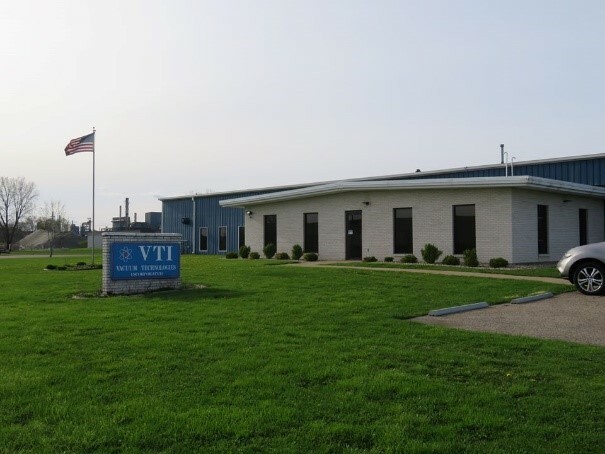 Learn about VTI Vacuum Technologies Tooling & Samples: another benefit that adds value while containing your costs.